Electroneum is an altcoin that targets the 2.2 billion smartphone users around the world via a mobile-focused blockchain solution with the explicit intention of capturing the mobile gaming and online gambling market. The initial token offering for Electroneum began on September 14, 2017, and will run through October 31, 2017. Those who wish to participate in the initial token offering can do so with bitcoin or ether on the Electroneum website. According to the Electroneum overview white paper, this new altcoin is an attempt to create a digital coin that is easy to use for the average individual with a smartphone. The paper outlines a variety of different ways in which this goal will potentially be achieved, noting that currently available digital currencies do not have a mobile-first mentality. A maximum coin volume of 21 billion with only two decimal places, which will allegedly offer a better “real money” feel to the altcoin (as compared to bitcoin). Electroneum wallets are designed with smartphones in mind, and the mining process can also be done on a smartphone. The blockchain is said to support very fast microtransactions. It relies on its own blockchain rather than an Ethereum-based ERC-20 model. The development team is solely focused on breaking into the mobile currency market. These problems and solutions are somewhat less than compelling when compared to many other current ICOs. Changing the supply count so it only has two decimal places is nothing novel or unique; it is a schtick that many other altcoins have used in the past. Additionally, the “real money” problem with bitcoin and altcoins has to do with price volatility more than anything else, and Electroneum offers no solution to this issue. Designing an altcoin specifically for smartphones also makes little sense. There are plenty of bitcoin wallets available for smartphones. The benefit of mining on a smartphone is unclear. If it is about gaining easy access to the altcoin, there are plenty of bitcoin apps, such as Bitmaker, that already solve that issue for the world’s most widely-used digital currency. Even if this were a potentially useful feature of an altcoin, the Electroneum miners would simply trade their Electroneum for bitcoin as quickly as possible, as explained by the Satoshi Nakamoto Insitute’s Daniel Krawisz back in 2014. In terms of microtransactions, it is difficult to conduct on-chain microtransactions in a manner that is both secure and scalable. This is why Bitcoin’s development roadmap has turned to layer-two options, such as the Lightning Network, for smaller payments. Additionally, there are already plenty of altcoins, such as Litecoin, that focus on microtransactions. Relying on its own blockchain rather than piggybacking on top of the Ethereum or Bitcoin blockchains means the token will be built upon a less secure base in terms of preventing double spends. Judging from these key points outlined in the white paper, it appears that the Electroneum team has done a poor job of targeting the average smartphone user. According to the overview white paper, the development team behind this project comes with plenty of experience. According to the Electroneum white paper, Retortal is used by fortune 500 companies such as Herbalife and Avon and is valued at over $50 million. The project has also received an endorsement from RocketSpace CEO Duncan Logan on Twitter. Unlike most of the recent ICOs, Electroneum is not a sort of altcoin that necessarily lends itself to a specific decentralized application. Instead, Electroneum is more of a traditional altcoin, where its intended use is as a currency. This means Electroneum will compete with bitcoin. Indeed, the white paper explains how Electroneum attempts to improve upon some of the perceived flaws in bitcoin. There would need to be an extremely good reason for a user to prefer Electroneum over bitcoin, given that bitcoin has the most liquidity, network efforts, battle-tested codebase, and other benefits that come with being the first and biggest digital currency in the world. As discussed in a previous section, that reason does not appear to exist. So, part of the sales pitch to potential investors is that people will want to buy the coins and then dump them for a profit not long after the initial purchase. No description of why the value of Electroneum will increase in value is provided in the paper. The long-term goals of Electroneum depend on the amount of money the project is able to raise during its crowdfunding token sale. There are six possible roadmaps based on different levels of fundraising ($0-1 million, $1-5 million, $5-10 million, $10-20 million, $20-40 million, and $40+ million). The number of Electroneum coins sold in exchange for $1 declines by 10 for each week of the token sale, starting with 150 coins issued per $1 in the first week. 6.3 billion coins have been made available for the initial token sale. Coins that are not sold during the initial token sale will be distributed to mobile miners via a bonus process. 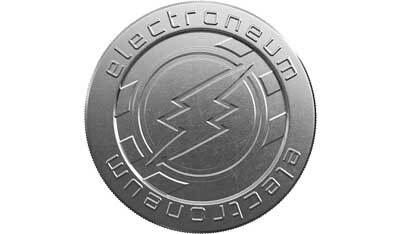 Whether some of the initial tokens will also be going to the development team or advisors is not made clear anywhere on the Electroneum website, so anyone thinking about investing in this project should try to clarify that with the Electroneum team before taking action. There does not appear to be much of an Electroneum community at all. The project allegedly has 1,776 followers, but it is unclear if these are real potential investors or just paid followers. Much of the Twitter activity around Electroneum on Twitter involves anonymous people (or bots) sharing their referral code for the Electroneum token sale. Perhaps this would be a good time to remember that this new token comes from a company that specializes in social media marketing. In terms of what software will be available at launch, the Electroneum overview white paper claims that the blockchain, an app-based wallet, app-based mining, an offline wallet generator, a Windows wallet, a Windows miner, mining pool software, a blockchain explorer, and a third-party payment API are all already developed, finished, and tested. There is no link to a GitHub repository on the Electroneum website. A Google search for “Electroneum GitHub” brought up this GitHub repository. In summary, Electroneum appears to be just another altcoin that speculators might wish to avoid. It is true that the price could go up and down wildly once the initial token offering is complete, but there is a significant question as to whether there is any fundamental value here. It is open to debate as to whether most of the “problems” with bitcoin and altcoins outlined by Electroneum in the overview whitepaper are actually problematic, and their proposed solutions are hardly compelling. Additionally, this altcoin will have to compete against all of the other more liquid altcoins that are already out there. It is also unclear why a blockchain is needed for this project at all, as it is extremely centralized. The development team appears to have the ability to dictate the rules of the Electroneum protocol, as illustrated by the ability to reward miners running the mobile app (rather than all miners) with the coins that are not sold during the initial crowdsale. Subscribe here to receive updates on the Electroneum ICO. Check out additional ICO reports by this author on Wanchain and Litra Coin. 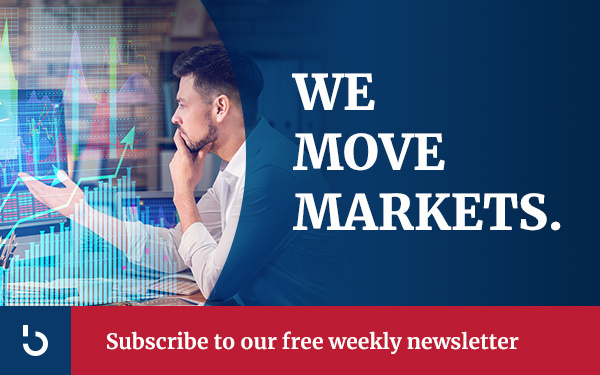 Subscribe to Bitcoin Market Journal for more information about upcoming ICO investment opportunities.